OTG ready b ang zenfone 5? I had a zenfone6 but to be honest if you pay peanuts, you get monkeys. When I plugged to my computer, it was always broken down. Even if all icons remained positions, its functions were running in different positions. That's why I gave it back and refund my money. Another important point is that charging time was too long comparing other +3000mAh phones. Beside this, it is the best p/p phone among same price range. Especially, pixel master tech does its job very well. ZenUI interface is the best one I have ever used, even couldn't be compared with cynogenmod. i want buy zenphone so please help me which one is better if we compare 5 & 6???? Plz advice me asus zen4 better or intex aqua style pro????? AnonD-94238, 12 Jan 2014DO NOT BUY any Asus products, they have the worst support ever. 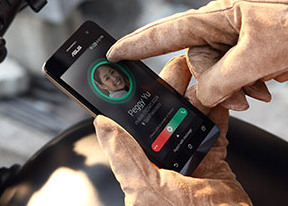 Users with failing Padfones... moreIs Asus zenfone 5 btr than lenovo 660? Should i buy zenfone 4? Can i use sony smartband swr10 on it? if you looking for gaming or long lasting battery life..don't bother yourself looking for zenfone 4..i run game clash of clans on this phone, it last for 3++ hours from fully charged..
otherwise, it was great deal for it price and here almost every store i went, all of it sold out. 18 hours at standby mode, battery still got 73% from fully charged..
Rm875.00 ! !.I guess Lenovo much beter then Asus. Don't buy Asus phone. I bought Padfone 2 in Dec 2012 and in March 2013 it went dead. Took 3 months and countless emails/call to Asus Saudi to get it repaired free, motherboard was replaced. Last week the phone died again..now I have useless tablet. Asus is good at making crappy phone and charging an arm and leg for it. Avoid, skip, or run of you have to but do not buy anymore Asus phone no matter how tempting..
motorola moto g has set the minimum acceptable. Are the prices on or off contract? $149 for Zenfone 5 seems too good to be true.